Reykjavik is a charming city and the northen most Capital in the world. to hop on a bus tour and explore Iceland´s beautiful nature. ​Reykjavik´s bustling restaurants and nightlife in the evening! Explore the amazing nature paradise at Álftanes peninsula just outside the city limits. Enjoy an easy shoreline walk with breathtaking views over the city, majestic mountains and in fair weather all the way to to glacier Snæfellsnesjökull. We will visit friendly horses of various colors, pet them and take selfies. Álftanes has a rich history and host the site of the official residence of the President of Iceland. We end our short tour at Álftanes Café for their renowned home made soup and bread. Meals: Hot Lunch (soup and bread) included. Suitable for Vegetarians and Vegans. This tour takes you to diverse natural pearls along the enchanting south coast of Iceland. The landscape is characterised by strong contrasts, where grown plains meet coarse mountains and fire meets ice. You will visit the waterfalls of Skógafoss, with its breathtaking 60m drop, and Seljalandsfoss, which you can walk behind and through to the other side. In Reynisfjara, or Black Sand Beach, you get to experience the raw and alluring force of the North Atlantic and its masterfully shaped basalt column cliffs. The site is equally beautiful as it is dangerous, and should be approached with a healthy level of awe and respect. Then we take a short walk up to the glacier snout of Sólheimajökull, a sublet glacier of Mýrdalsjökull, where you can witness the dynamics of Icelandic glaciers, their formation, behaviour and rapid melting. ​Combine some of Iceland’s golden attractions & warm relaxing nature bathing Start the day with the perfect combo of the Golden circle sightseeing and relaxation at the hot spring nature bath, called by locals The Secret Lagoon. - Thingvellir UNESCO world heritage, where the old Viking parliament was founded. Thingvellir is filled with history and here the tectonic plates are slowly being pulled apart right in front of your eyes. - Gullfoss waterfall (Golden falls) the powerful waterfall created by Iceland’s melting glaciers. - Geysir area with bubbling hot springs and frequently erupting hot spring Strokkur. - Bathe in an secret natural lagoon, located out in the unspoiled countryside. The water is at a comfortable temperature of 36-40°C (Admission fee to the lagoon and towel included in the price). Experience the range of Icelandic natural beauty in just one area—the wonderfully diverse Snæfellsnes Peninsula. 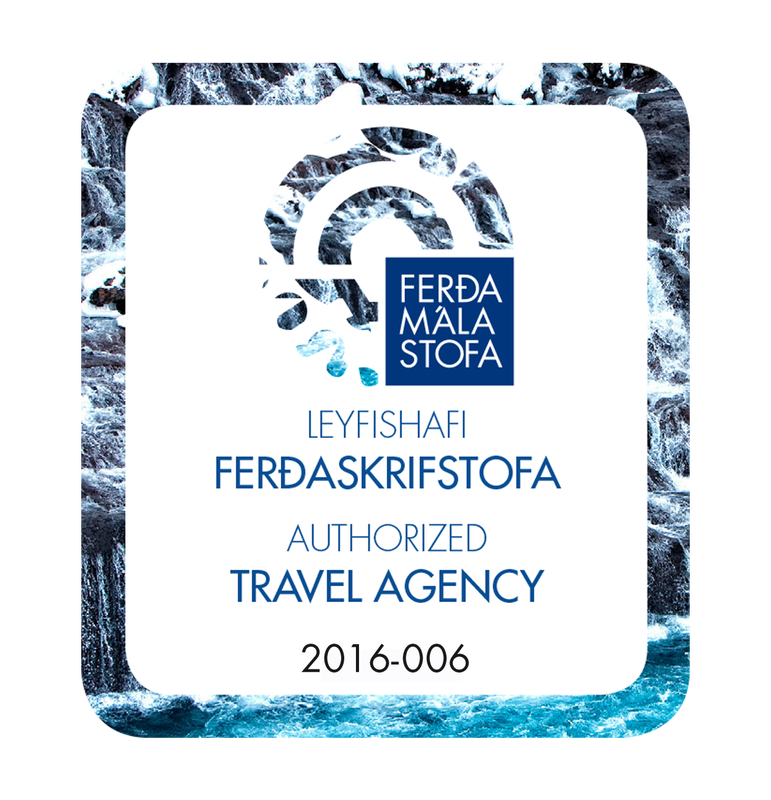 In this tour, we will discover the charming fishing villages of Grundarfjordur, Arnarstapi and Hellnar, spectacular mountains and volcanic craters such as Kirkjufell and Ljósufjöll, the black beach at Djúpalónssandur, the majaestic glacier Snæfellsjökull, and the seal colony at Ytri Tunga. NOTE: Our guide will assist and recommend good hiking trails. Hiking maps are sold in the bus. Bring along warm layered clothing, a hat, gloves, good shoes, swim suit and a towel (if you want to enjoy the geothermal pool). We highly recommend bringing a packed lunch and snacks. See one of Iceland’s colorful pearls in the breathtaking highlands Join our guided, scheduled bus, that will take you along Landvegur up to Landmannalaugar along the way we drive close to the roots of Hekla one of Iceland's most active volcanoes. breathtaking scenery. It is one of the most comprehensive day tour you can find in Iceland. Drive by the roots of Mt. Hekla, Iceland’s most active volcano. Through Þjórsárdalur valley a landscape of sharp contrasts, such as remarkable waterfalls, woodlands and sandy lava fields. Up to Landmannalaugar higlands surrounded by colorful rhyolite mountains and black expansive lava field of Laugarhraun. 6 hours in Landmannalaugar to hike and enjoy the local natural geothermal pool for perfect relaxation. A day in Þórsmörk, Valley of Gods is a must do while in Iceland! Join our guided scheduled bus to Þórsmörk, named after the norse god Thor. A forested gem hidden between mountains and glaciers. You can choose between three destinations in Þórsmörk: Stakkholtsgjá canyon, Básar or Húsadalur. We will be crossing some smaller glacial rivers and to get to Húsadalur we will be crossing the fierce river Krossá. You will have roughly 6 hours in Þórsmörk to explore. There are various hiking trails to choose between, short and longer ones. We sell a hiking map in the bus. ​Short photostop at Seljalandsfoss, crossing glacial rivers, 6 hours at the hidden gem Þórsmörk to hike, enjoy the natural birch forest and tranquility.